• To promote co-operation among researchers and practitioners. Members of the CGS are invited to nominate individuals for the 2016 Thomas Roy Award of the Engineering Geology Division. To honour the memory of Thomas Roy, the Society’s Engineering Geology Division established in 1982 an award carrying his name. Thomas Roy may well have been North America’s first engineering geologist (Legget, 1973). The award is presented each year to honor an outstanding contribution to the field of Engineering Geology in Canada. 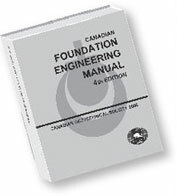 Eligible are persons residing in Canada who contribute to the field of Engineering Geology in Canada through a landmark publication that has had important and lasting impact on the field; or a recent publication which represents an outstanding contribution to engineering geology, his/her excellence along his/her career, or his/her involvement in the promotion of Engineering Geology in Canada (for example in the education for Engineering Geology). Click here to view past Thomas Roy Award Winners. The EGD is closely affiliated with the International Association of Engineering Geology (IAEG). There are strong links with the Association of Environmental and Engineering Geologists (AEG) in the United States. Please contact the Engineering Geology Division at Geology@cgs.ca if you have any comments or suggestions.